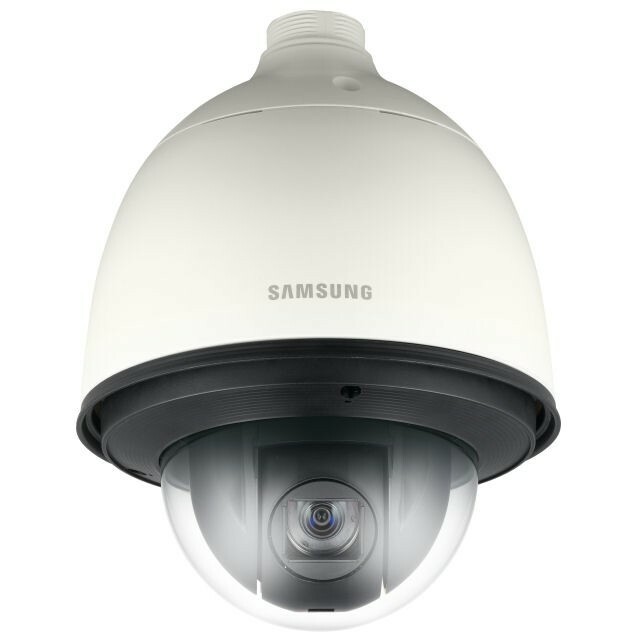 1080p Analog HD 32x PTZ Dome. Full HD (1920 x 1080, 30fps) resolution. 0.2Lux@F1.6, B/W : 0.01Lux@F1.6. Powerful 32x zoom (4.44 ~ 142.6mm), Digital 16x. Day & Night (ICR), Defog, WDR (120dB), SSNRIII. Preset 700˚/sec, Azimuth. IP66 / IK10 (HCP-6320H), IK10 (HCP-6320 + SHP-3701H only). RS-485, 24V AC.